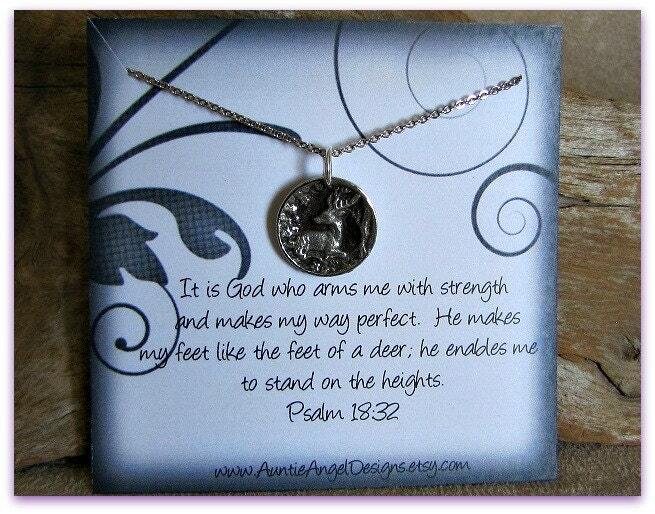 Auntie Angel Design's Psalm 18:32 necklace is crafted of a gorgeous one-sided highly detailed pewter deer-themed charm made for my shop by a very talented artisan. 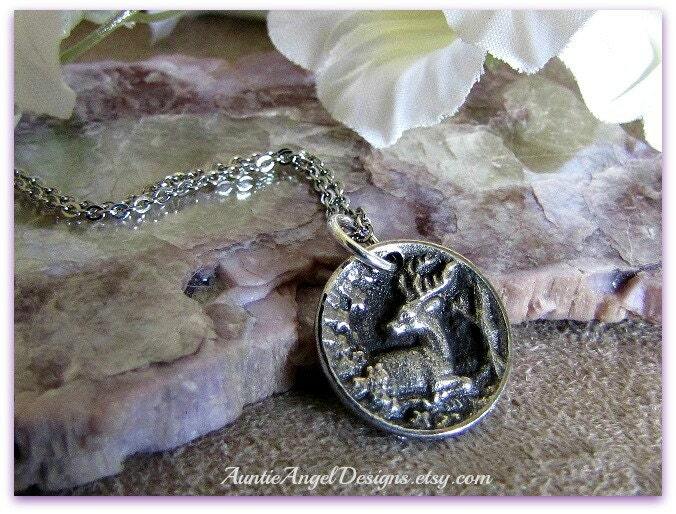 The charm measures about the size of a penny and is strung on an 18" stainless steel chain. 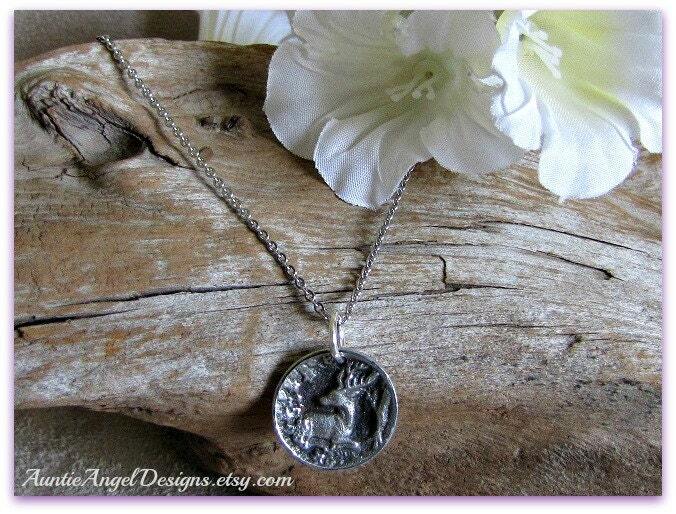 This precious keepsake necklace could very well be your go-to piece for daily wear. It arrives as shown on my specially designed backer card, which reads: "It is God who arms me with strength and makes my way perfect. He makes my feet like the feet of a deer; he enables me to stand on the heights. 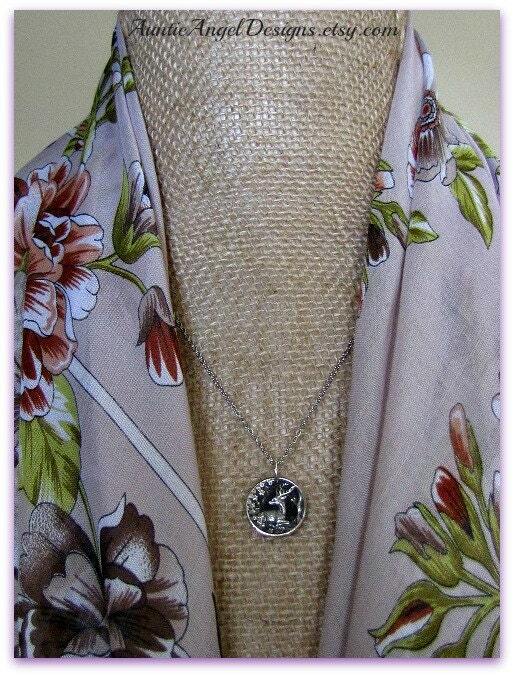 Psalm 18:32"
The Psalm 18:32 necklace comes beautifully gift-boxed with ribbon and is ready for gift giving. 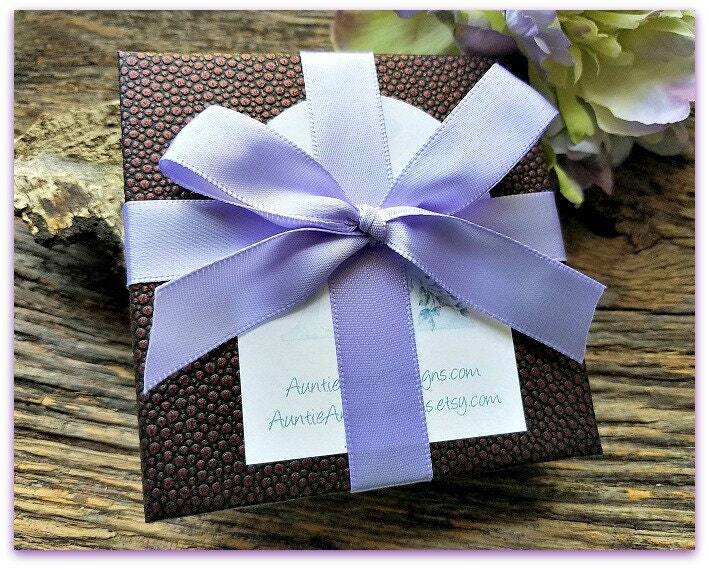 I enclose a blank gift enclosure card for you to write your heartfelt message. Very pretty necklace, super pleased, thank you!